While many of the beauty looks on the catwalks at the Autumn/Winter 2014 shows during New York Fashion Week were artistic statements that simply don’t make sense off the runway, there were also plenty wearable makeup ideas that stood out. Here is a run through 5 fashion-forward makeup ideas that you can try now! 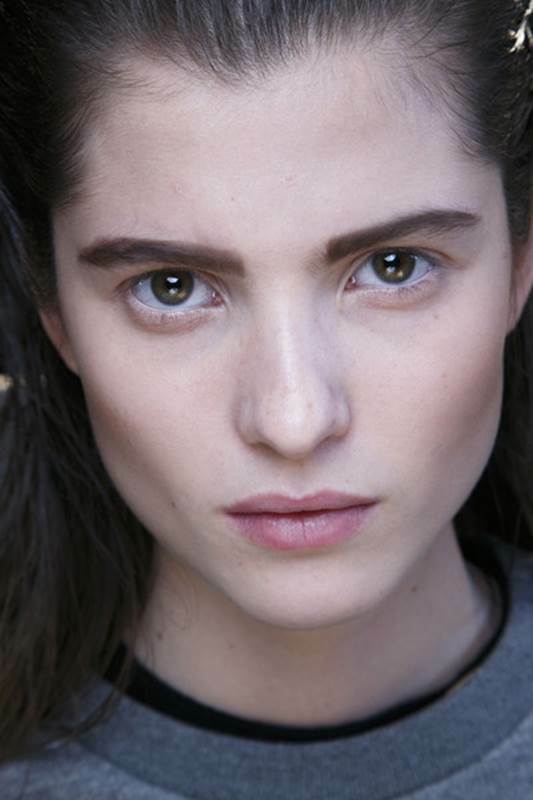 Showing that structured eyebrows is a beauty trend that isn’t about to go away any time soon, models wore very defined dark eyebrows on the catwalk for 3.1 Phillip Lim. 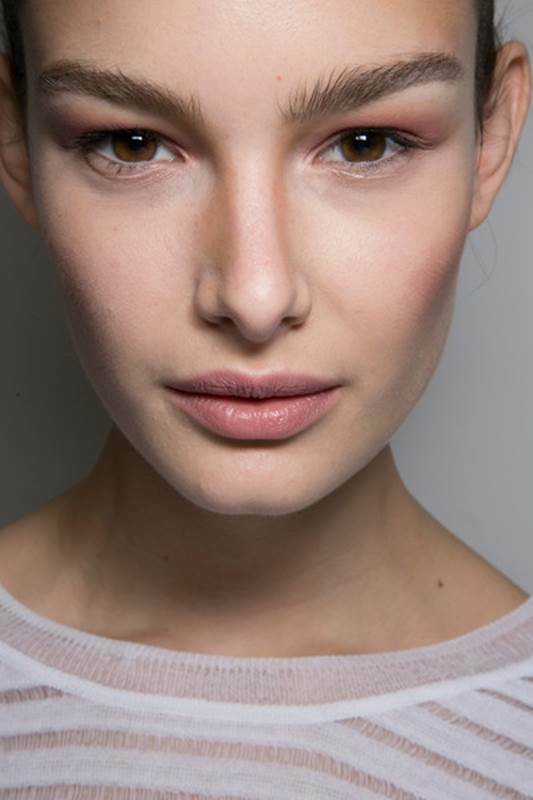 The rest of the makeup look was toned down with matte skin, pink natural toned lips and flushed-looking pink cheeks – this could easily during the day as a unique makeup look. 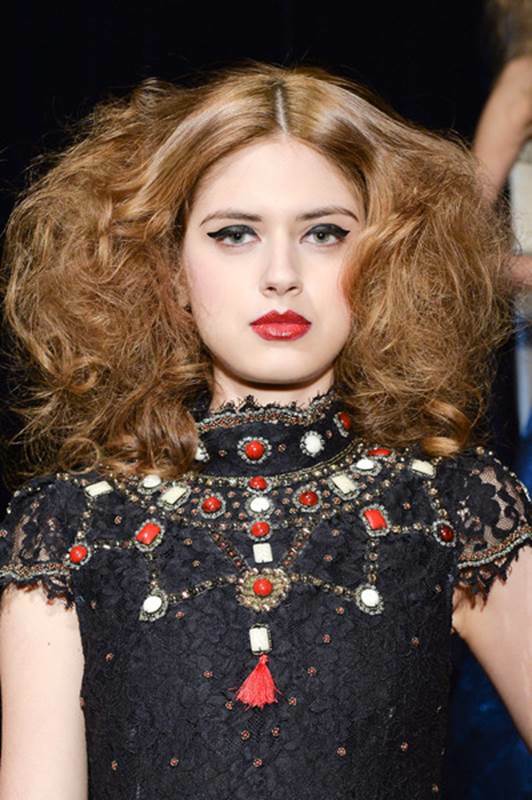 Alice + Olivia went for a retro look that would be great for a night out or even a dramatic day look. Lips were a glossy red with well defined edges, while eye makeup was a thick cateye. Skin was kept dewy and fresh. Altuzarra’s almost naked beauty look was very minimal – no obvious lip colour, minimal foundation and no noticable cheek makeup either. 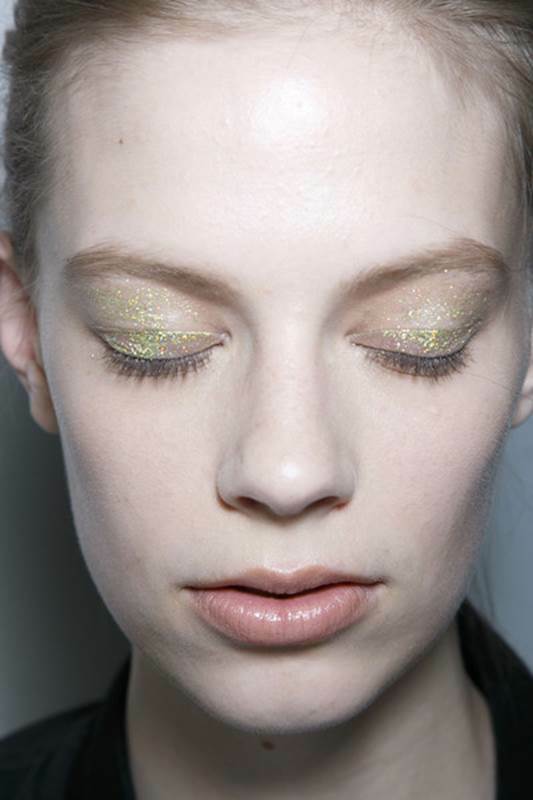 However, they did add an attention-grabbing detail to the eyes – a slick of glittery but transparent eyeshadow. Try this one out to change up your usual day look. The makeup artists at the Diane Von Furstenberg created the perfect flattering but natural beauty look that is great to wear any time. Using a blush-toned eyeshadow, the eye makeup warmed the skintone and coordinated with blushed cheeks. Lips were rosy and skin looked dewy. This is all about a healthy glow and flattering your skin with the right natural shades. 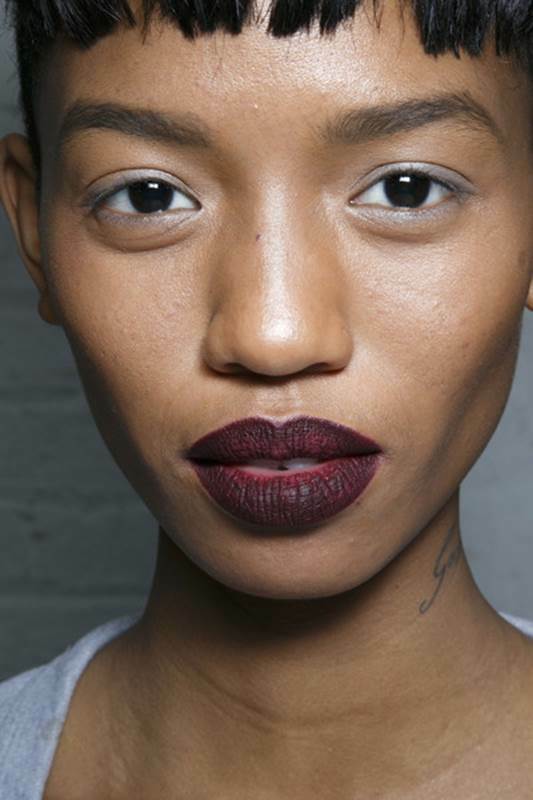 Statement lips are still everywhere but DKNY had a particularly interesting take on the look – red lips were mixed with a black lipstick layer to create a unique marbled effect. The rest of the makeup was kept simple with little attention paid to eyes and simple fresh skin.